A 14-year old high school drop out Batad Boy, is forced to sell produce in the Banawe market to increase the family income while his father pursues the generous mission of repairing the rice terraces of adjoining Ifugao villages. Western modernization in Banawe was exposed to the boy and now is obsessed with owning a pair of rubber shoes that he does not really need. In pursuit of his dream to own a shoes, he takes on all odd jobs imaginable and ultimately becomes a tour guide. During one of his tours, he barters his guide fee for a pair of shoes which are, however, too big for him. 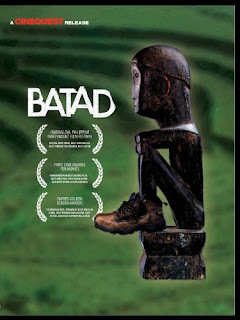 Upon possessing the long-desired rubber shoes, he attempts to leave his Ifugao roots and chase big city dreams.